The weather has been getting chilly (finally!) and I have been getting into my fall groove with my usual uniform of cozy sweaters, jeans and boots! When it's chilly it's all about cool comfort...Expect to see a lot of that on this here bloggy blog. What's your "go-to" fall uniform? A BIG thank you to all of you who helped make the launch of Shop Frankie's so successful! You look so comfy Frankie. My uniform is jeans, boots and a big cardi! this is the perfect fall look! i love tall boots and a nice comfy sweater. it makes packing on winter holiday-eating pounds that much easier. haha! that sweater with those boots is amazing! i love it! and congrats again on the launch of your shop! That sweater looks amazingly comfy - I'm all about boots and cozy sweaters in the fall. Love the colors of that sweater! It looks so comfy! Love the oversize boyfriend sweater. 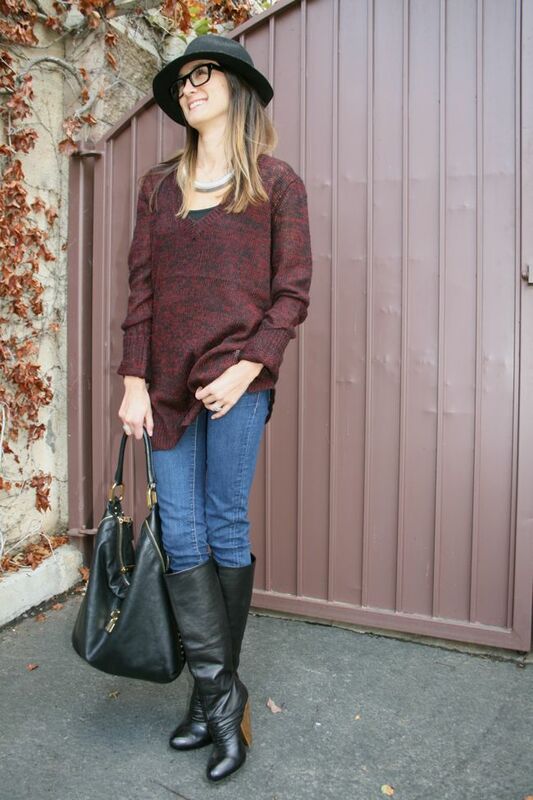 Such a great fall staple! DANG why didn't I order this sweater?!?! My go to is very similar, sweater and jeans! Shoes vary but just like this! 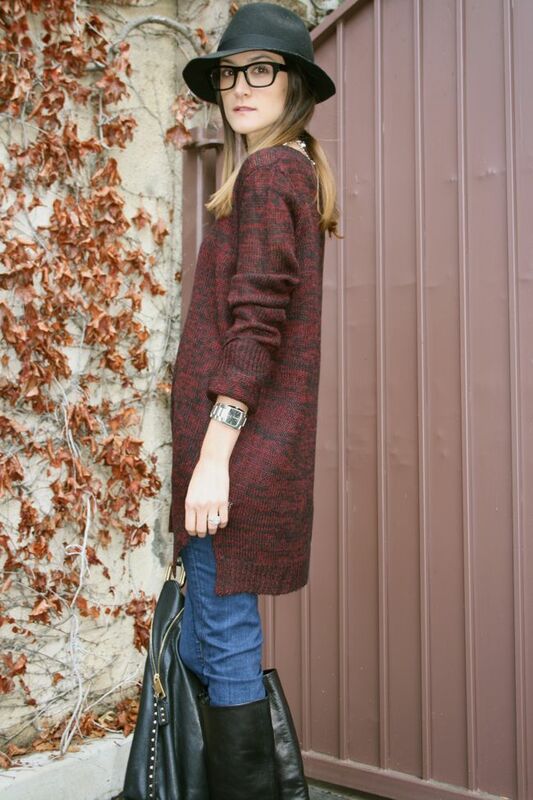 Love the oversized sweater, love the boots...such a fantastic look!! I love big sweaters!! You look gorgeous! I love how casual the sweater looks and combined with the boots it looks so fashionable! Wonderful! CONGRATS on the launch of hte shop! I'm so happy for you - it all looks fab! I love this... and that boyfriend sweater may need to be my next Shop Frankie's purchase!! SO proud of you, girl! Perfect cool comfort look! Have a lovely week doll! ADORE this chunky long sweater. It is effortless and chic. Love it. You are totally rocking those glasses. my go to fall uniform is khaki pants, long sleeve t-shirt and my red corduroy blazer. Ahhh so comfy! Love it! The sweater is so amazing and comfortable. 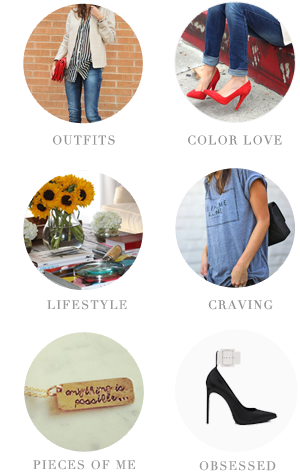 cute and totally casual, loving it! Love the boots! I am all about sweater dresses and leather jackets this fall! So cute! I need that for leggings! i love that relaxed look.. the sweater looks so comfy ....and you look amazing as usual.... Love Shopfrankies.....so many cool things..congrats..
Great look! That hat is so pretty!! There's a giveaway in my blog btw! LOVE that sweater, Nicole! The colors and the cut are fan-tastic! You've solved my boot finding woes! I love these. Heading to Ash now! I am obsessed with your boots! Who makes them? I don't know how I missed this, but I freaking LOVE IT!! Totally my kind of outfit. Looking awesome!